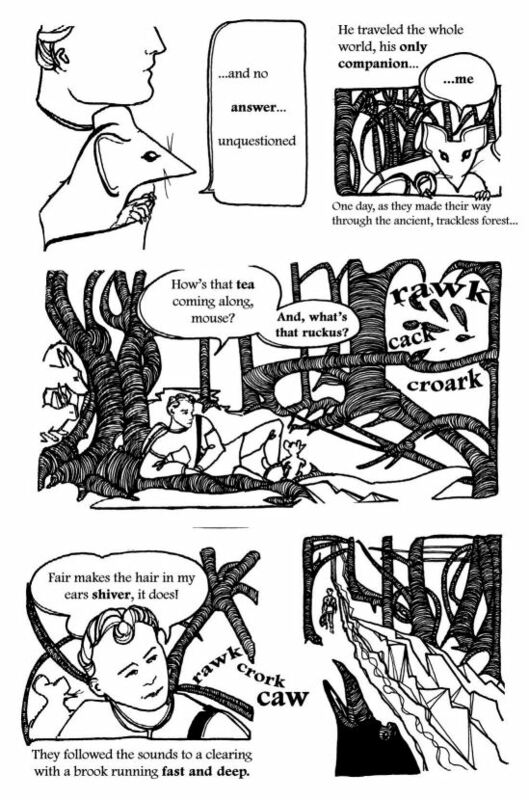 Today’s interview is with the wise and witty Mouse from Sylvia Stopforth’s cautionary tale ‘Dragon Rock’, adapted to graphic novel format by Mel Anastasiou and first seen in issue 3. What is your greatest fear? Being stepped on. What is the trait you most deplore in others? An inability to see past the obvious. A lack of imagination. A tendency to mock … which can, on occasion, prove dangerous. Which words or phrases do you most overuse? The tea is getting cold. What is your most marked characteristic? Not suffering fools gladly; also the delightful hint of sulphur on my breath. Who are your favourite writers? Kate DiCamillo (The Tale of Despereaux); Leo Lionni (Frederick); EB White (Stuart Little); Brian Jacques (Redwall). I am also fond of Douglas Adam’s Hitchhikers’ Guide to the Galaxy; he had a good grasp of species hierarchy. How would you like to die? I should like to die of a surfeit of satisfaction. What is something we’d never glean about you from ‘Dragon Rock’? I am fond of clocks, and loathe farmers’ wives. Sylvia Stopforth is a university archivist and research librarian whose fiction has appeared in Room, The New Quarterly, and Pulp Literature. 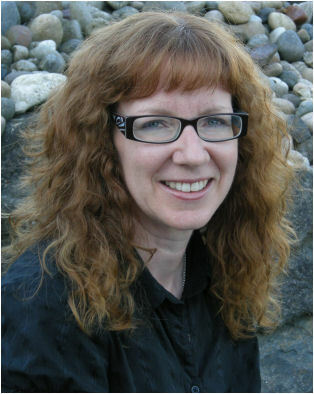 She has had a smattering of book reviews published, as well as an essay in an anthology, Shy (University of Alberta Press, 2013). For ten years she has served as a regular column editor for BC History Journal. Sylvia lives near the ocean with her husband. You can find the delightful Mouse amid the pages of ‘Dragon Rock’, in the Summer 2014 issue of Pulp Literature.